More and more often, Canadians are turning to private money lenders when they need to get express loans. While some people may never have to deal with this reality, for most of us, it’s a serious question with serious consequences. And finding the right money lender who can get you the money you need, quickly and easily, is extremely important. Private money lenders are companies who offer lending services to consumers, but don’t offer the corresponding deposit account or investment account services of a bank. They may offer one or more types of loans or financing, but don’t take deposits, have savings or checking accounts, or offer stock market or mutual fund investments. This concept of money lenders isn’t new, but it’s been gaining popularity in recent years. Banks still exist and offer loans, of course. But it’s always been challenging to qualify for a loan with a bank. Banks don’t embrace risk and they maintain very stringent requirements on the loans they are willing to offer. While this can mean lower interest rates on loans from banks as opposed to those from online money lenders, it can also mean a much greater risk for borrowers. You don’t want to risk losing your home or car if you can’t repay the loan on time, after all! Banks are also not very well-known for being flexible, convenient, speedy, or customer-centered. Many online money lenders have taken these weaknesses of banks and turned them into their own strengths, offering superior service and value for customers. Online money lenders can make it easier to obtain loans, offer competitive interest rates, great service, convenience, speed, flexibility and more services that banks simply cannot match. Those are just some of the reasons why more and more people in need of fast cash loans are turning to private lenders for their loans. Are Money Lenders a Better Choice than a Bank? In almost every other regard, more people tend to prefer money lenders because it’s easier to borrow money online. As non-bank companies, they are free to make their own determinations about what level of risk they are willing to take, and consequently set their own credit score, income, and other lending requirements. Banks have to meet certain regulations in this regard, established by global financial regulations. Those covenants only got tighter and more restrictive following the financial crisis of the late 2000s. That really spurred more and more people to look for alternatives, because it was simply too hard to qualify for a loan with a bank or traditional lender and many private money lenders have filled that demand for consumers. In addition to easier qualification, online money lenders generally have more flexible and convenient services available. You can apply for a loan, get approved and get your payday advance loan proceeds all from the comfort of your home. This process can be very fast, too, and available 24/7 – a far cry from the restricted and infamous “bankers’ hours” of traditional banks and lenders. What are the Benefits of Borrowing from Private Money Lenders? As highlighted above, the major tradeoff in choosing a private money lending over a bank or traditional financial institution is that you will likely pay more in interest on the loan than you would at the bank. In almost every other way however, private lenders offer more benefits for the end consumer. That’s especially true for the approximately 80% of people that banks disqualify or decline their loans. In this regard, it’s no contest why Canadians turn to online money lenders, especially those who may have bad credit. •	Low or no minimum credit score requirements to qualify for a loan. •	Online-based service available 24/7, without the need for office visits, physical paperwork, mailing or faxing, production of documents, notaries, or other time-wasters. •	The best online money lenders offer unsecured loans, meaning no collateral is required, reducing the risk to the assets of the borrower. •	Private money lenders often offer additional services, bonuses, or perks that banks aren’t able to provide their customers. •	Money lenders provide Canadians a way to get the money they need to manage their cash flow even if they have financial problems in the past by allowing them to apply and get bad credit loans. How Do You Find a Reliable and Trustworthy Private Money Lender? It’s important to take the time and effort to choose a reliable and trustworthy private money lender. That’s really the only way you can realize all the benefits that they have to offer over banks and traditional financial institutions. Here are some things to consider and look for when you’re searching for a money lender online. •	Ensure that any the money lender you’re looking to borrow money from with is fully licensed and certified to do business in your province. 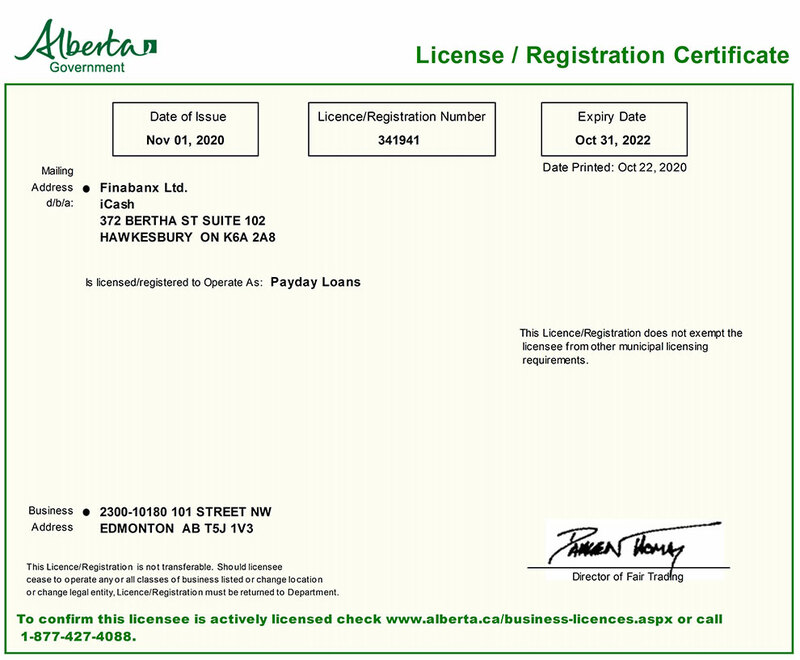 Ideally, they should have their license information clearly displayed on their website and are based in Canada. •	Like any online service, it’s best to check consumer reviews, feedback, and ratings, to ensure that any private money lender you are looking at provides high quality service. •	Money lenders should fully disclose all the terms, conditions and fees associated with their cash loans before you sign the loan agreement. •	Be sure to read the fine print to know the interest rates that a private money lender charges on their loans. That’s often the main cost of borrowing and a key point of comparison that will help you determine which money lenders is for you. •	If you are looking for bad credit lenders, be sure to check the minimum credit score requirements to qualify for a loan. Some money lenders have no minimum credit score requirements, while others have relatively low or mid-range requirements. You’ll want to choose a lender where the prerequisite is less than your current credit score or one that provides payday loans for bad credit with guaranteed approval. •	Try to find a private money lender that offers all the services and convenience you need, like a simple online application, fast approval and quick funding. 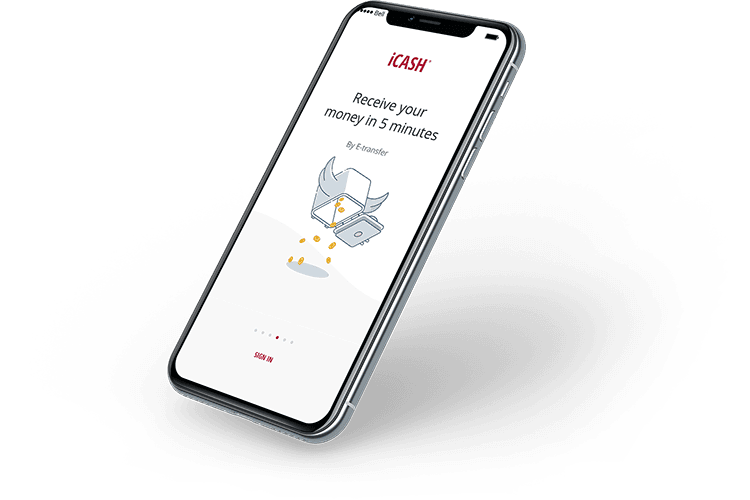 iCASH is a trusted online money lender that offers short-term cash loans to Canadians, through an innovative online lending process. What’s more, they are a well-known money lender for bad credit customers, having no credit score requirement to qualify for a loan. How to Get a Loan from a Private Money Lenders? To get started, simply fill out the loan application a private money lender. Choose your loan amount, repayment options, along with basic information about you. It only takes 5 – 10 minutes to apply online. After you submit your loan application, it will be evaluated by our internal software and a credit check will be performed. You’ll receive a decision on your loan application almost instantly and know if you were approved. As soon as you’re approved for a loan, the online money lender will send you an email with your loan agreement which needs to be digitally signed, and funds will be sent to you via e-transfer within 5 minutes. iCASH is an online private money lender with over 200,000 happy customers in Canada. We pride our self on offering great service, competitive rates, and a Cashback program. Below are just some of the reasons that more and more Canadians prefer iCASH as their money lender of choice for all their short-term loan needs. One of the biggest advantages of an online money lenders is that they can offer the best service, convenience and speed that no bank can match. With 24/7 service, customers can apply anytime, day or night, from their home or their office. All you need is a money lending app or go and apply for a short-term loan on their website. It’s extremely easy to fill out the application, with no documentation requirements. There’s no waiting for a decision on your loan as it’s provided almost instantly as opposed to waiting hours or days with a bank and you can get funded in as little as 5 minutes following receipt of your signed loan agreement. How do private money lenders work? Private money lenders provide a range of unsecured loan options when you need to borrow money. They are more flexible on the loan terms as well as who they approve by accepting those who may have bad credit but need quick funds for an emergency. We allow customers to repay their cash advance loans on the next payday in one single payment. With Flexpay, customers can pay back their loan in 2 or 3 equal payments on the next upcoming paydays. This allows you to have more time to repay your loan while paying no additional interest. Canadians are turning in increasing numbers to online money lenders for bad credit when their credit score is not as high as it can be. The reason for this is because it can be extremely difficult to qualify for a loan with a bank. Private money lenders that provides loans for bad credit may not have any credit score requirement so your loan application will never be rejected on the basis of your credit score. Far more important than your credit score is whether or not you have the income and financial means to repay your bad credit loan. Private money lenders like iCASH offer vital services to those who need loans the most and have no other options and nowhere else to turn to. When the banks say no, iCASH accepts and approves 9 out of 10 applications. 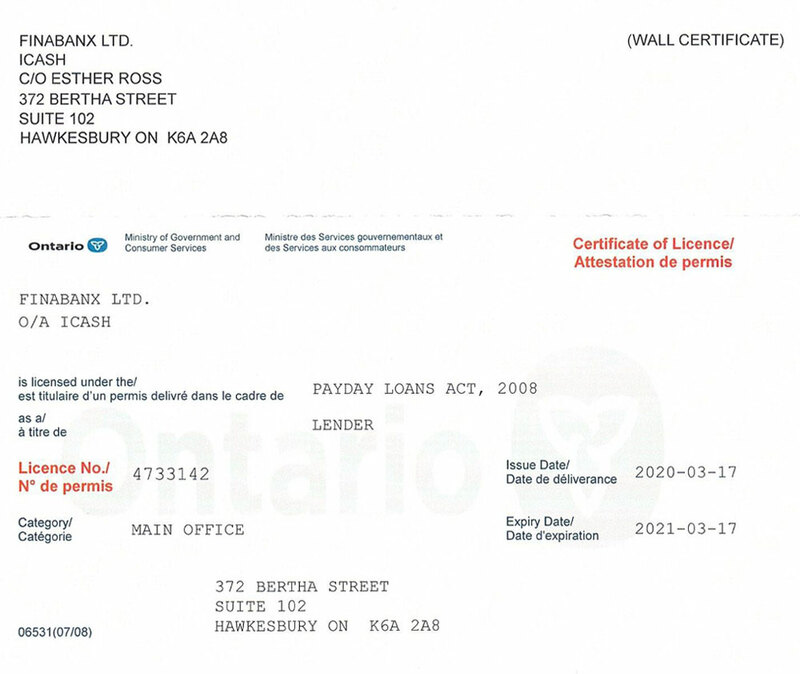 What does Licensed Direct Money Lender mean? 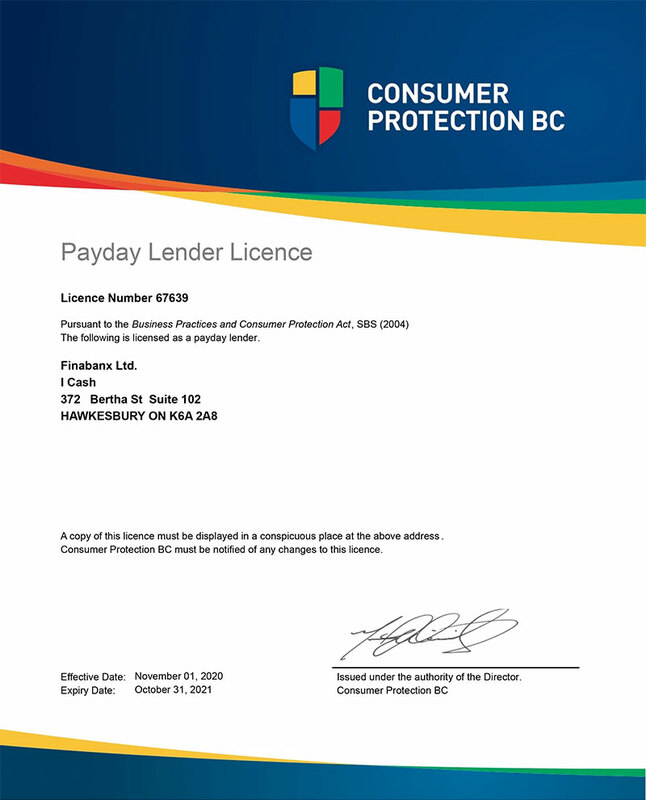 Make sure that the lender you deal with is a fully licensed direct money lender that’s based in Canada and has a license in each province that they do business in. This provides Canadians an extra layer of protection and assures you that the company that you’re doing business with is held to a higher, well-regulated standard. Stay safe and protected by choosing an online money lender like iCASH. Are Loans from Online Money Lenders Safe? The best online money lenders will implement advanced encryption technology to protect all of your transactions so as to keep your information confidential and protected. This is combined with industry best practices for data privacy, access controls, and safety. Money lenders online are well aware that people are naturally worried about the safety, security and privacy of their personal as well as their financial information online. This includes never selling your information to a third-party, ever. We value privacy and security which is why we will always do everything possible to keep your information as safe as possible. It’s likely you may still have questions about online money lenders and their services. Below, we’ve put together answers to some of the most commonly asked questions about how money lenders work and what they have to offer. If you have additional questions about private money lenders that are not covered here, please feel free to explore our Payday Loans FAQ page, or reach out and contact one of our Customer Experience Advisors, via the iCASH Contact page. What is a Private Money Lender Loan? Are Money Lenders Better than Banks? How Do I Get a Private Lender Money Loan? Do Money Lenders Need to be Licensed? How Do I Get Money with Bad Credit? A private money lender loan is an unsecured loan that’s provided by a private lending company. The interest rate might be slightly higher, but private lenders make it easier to obtain and qualify for a loan. Money Lenders can be a better choice than a bank due to the fact that it’s easier to apply and get approved for a loan. Online money lenders also provide better service, higher level of convenience and can usually provide the funds the same day. Money lenders for bad credit customers are almost certainly better, as it’s virtually impossible to qualify for a loan at a bank when you have bad credit. 1 - Start the loan application process online. Upon starting the loan application, it will cover everything you need to know about the loan, terms and interest rates. 2 - Choose the loan amount and the repayment period. 3 – Submit your loan application to the money lender online. 4 – The private money lender will let you know if you were approved. 5 – Upon being approved, digitally sign your loan agreement and return it back to the lender. 6 – The private money lender that you took the loan with will notify you when your funds are released. Money lenders do need to be licensed in every province that they do business in and their licenses should be readily available on their website. You can find out more about online lending regulations, particularly for short-term cash lenders, on the Canadian government website for the Financial Consumer Agency of Canada. Online money lenders for bad credit provide unsecure loans and have very low credit score requirements, or no credit score requirements at all which makes it easier for you to qualify and get approved for a loan. The interest rates on these loans may be higher but when you need funds quickly and can’t get approved by a bank due to bad credit, you might not have another option. Bad credit lenders can often be the difference between a financial “bump in the road” and ending up in a major financial hole that’s nearly impossible to crawl out of. As a result, more and more Canadians who may have bad credit history and need short-term cash loans are turning to online money lenders to get the funds they need.